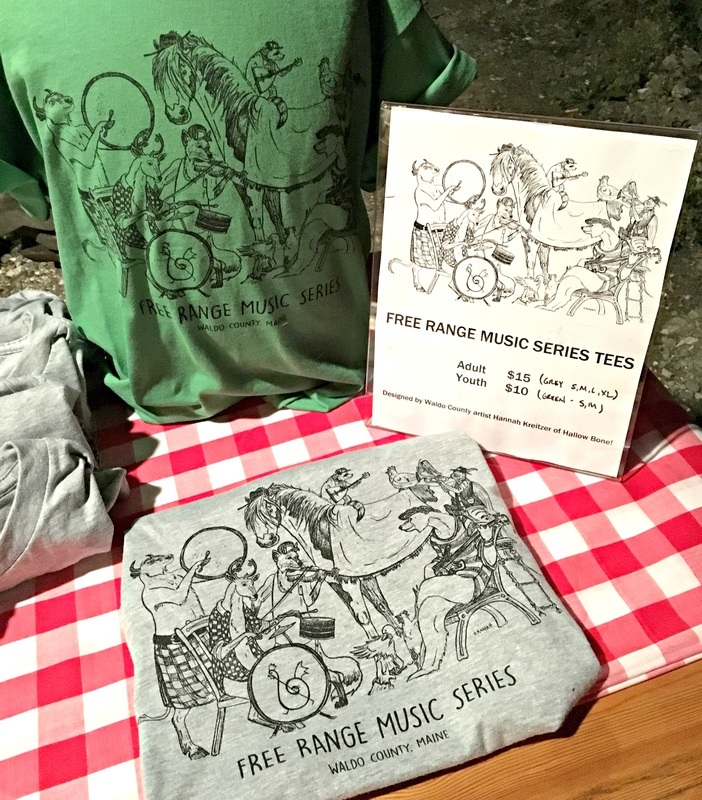 Over the summer, we had the pleasure of teaming up with Waldo County artist Hannah Kreitzer to design the first Free Range Music Series tee shirt! This was a favorite tradition of the Free Range Music Festival - one we are excited to continue with the new series format. Hannah is known for her amazing ability to portray animals. We shared an idea we had of various species (that can be found in the area) playing all sorts of instruments in furry/feathered jam of sorts. Safe to say, she nailed it. 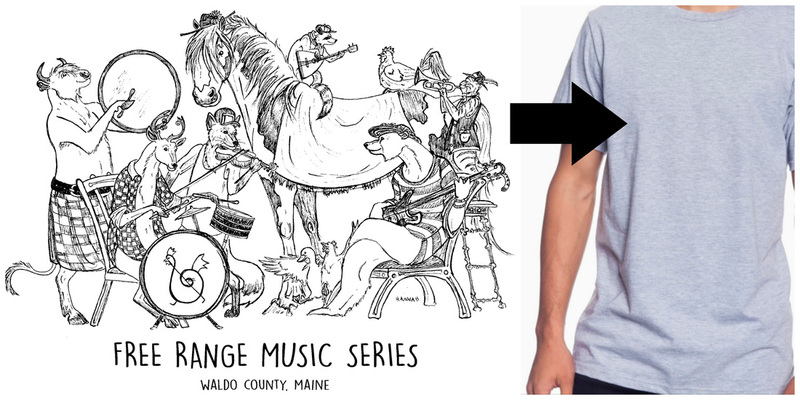 The tees were printed right in Searsport at Inner Sense, making this a 100% Waldo County endeavor. At the moment, adult sizes are available in heather gray for $15, kids sizes in green apple for $10. Follow the link below to purchase here, or email us at info@freerangemusicseries.com to arrange a local Belfast pickup. Hannah Kreitzer (professionally known as Hallowbone) is rooted in the woods and roads and fields of Maine. In her words, her worldview is kind of a crooked weave- the warp of cosmos/ecology/natural history and the weft of symbol/story/culture…simple patterns that dizzy her in their density of threads. Her most reliable wellsprings are myth, science and simple observation, and her life goal is to get over herself (for which there are boundless opportunities every day). Read more about Hannah here.